Best-known for our work in the middle-market, our transaction team helps business owners, strategic acquirers, private equity firms, and family offices achieve success. Practical and to the point we partner with our clients to help them understand what is market, add value, and to help clients achieve their goals. Our team serves clients throughout the country. Notwithstanding this national footprint, our single-office in Omaha provides a competitive advantage by allowing us to utilize partner-level service economically – meaning clients get the answers to their questions in the most efficient and effective manner. Our firm is a member of TAGLaw and the International Business Law Consortium. 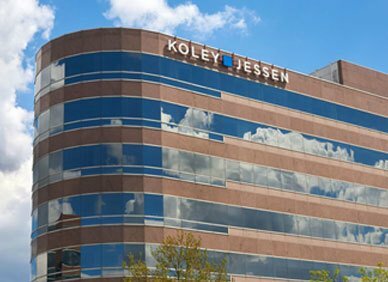 When international co-counsel is needed, these highly ranked law firm alliances provide Koley Jessen with access to legal specialists around the world who also adhere to high quality and service standards. As a firm, we are known for our unique brand of responsiveness. We take the time up-front to make sure we understand our client’s unique needs, the competitive dynamics of their industry, and their objectives and strategies with respect to any transaction.